1. This Atlanta Hawks team will not be as bad as some experts are pretending they will be. 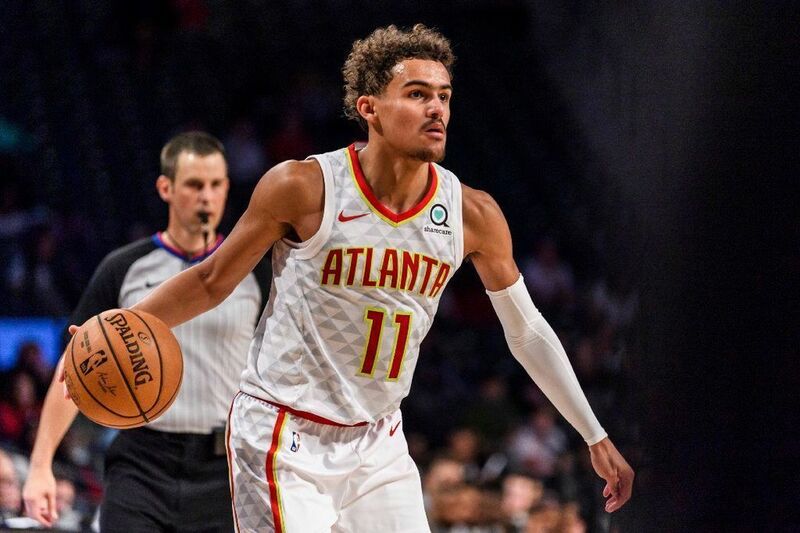 Some of the national talking heads have figured it out, but there are a lot that see the evaporation of known commodities from the Hawks rotation plus the trade of Luka Doncic for Trae Young and a future #1 as signs that the team is going to be horrible. However, those that have watched this team since it's bumpy opening act in Utah this summer can see that the offense is all the way live, and Lloyd Pierce has a plan and the team is executing. A rudderless ship is the most likely to be a disaster, record-wise, in the NBA, and that is not the Atlanta Hawks. So while the team is still locked in for lottery goodness next offseason, the worst record in the league, a.k.a. The Full Oh-Four, will be avoided. 2. That defense, though, will be rough. I had speculated, as the team piled one defensive liability upon another during the offseason, that this defense had the potential to be all-time bad. I am walking that back somewhat upon reflection. What I mean today is that the defense has a chance to be epic in terms of points per game given up, likely last in the league in that category. Pierce is a noted defensive expert, so there will be some defensive concepts that will be taught and bought into, to be sure. However, the pace at which this team wants to play, combined with the established defensive ratings the roster has, plus the general inexperience that a lot of the minutes will be consumed, means that points will be scored against, oh yes, there will be points. 3. Still going to be fun to watch. All of that is to say this: This team will score some points and it will give up a lot of points, which will make them the darling of the daily fantasy sports players everywhere. More points = more fun, or something like that. Being a bad team that can't score the basketball is hard to watch. Being a bad (record-wise) team that can score the ball is much more palatable. 4. Trae Young will alter the draft day trade narrative. Not to bury the lede too much in this preview, but yes, there is plenty to say about Trae Young. Before the draft, I felt that the lack of defense I saw at Oklahoma was going to prevent Young from assuming a full starters' portion of the minutes, rendering him a sixth man type that would be able to come off the bench and provide tons o' offense, featuring his shooting and passing as the chosen weapons of mass destruction. After the summer and preseason, you can see the work that Pierce has put into Trae and it is more easy to see a 30-32 minute role for Young now. What we have also seen is that the elite playmaker skills are translating, so far, to the NBA, which is essential for making Travis Schlenk's draft day gambit work. Sure, Young can knock down 30 footers and drive oohs and ahhs from the crowd, but it will be the ability to make John Collins, Taurean Prince, et al 10-15% better and more efficient that will make things go for the Hawks with Trae at the point. I believe he will do this well enough. Also, his style of play and swagger lends itself to adoration of the Hawks faithful and the marriage of his game style, the pace of play the Hawks want to go with and the fans coming to the arena is darn near perfect. It is this result that I believe will change the national narrative about the deal from a FAIL by the Hawks to a more win-win narrative that still favors Dallas (assuming Luka plays as we all believe he will), but more of a wait and see with that second pick, the style factor, etc. With Young so likeable as a leader, this adds to the momentum to alter that narrative. 5. The final result will be tied to Team Health. Obviously, an injury to Young, more so than anybody else on this team, will influence the final grade for this team in 2019. If Young is able to maintain for 78-82 games, then we will see his growth and all the points I have just made is fully colored and glorious. However, if Young misses large amounts of time, it is hard to imagine feeling like this season reached its potential. To a lesser degree, the same is said for Collins, Prince, Huerter, and everyone else that the team is counting on to use these minutes as time vitamins for future benefit to the team. Any amounts of lost time will hurt that growth and, also, the enjoyment of this rebuilding season. 6. The Hawks will still have a top five pick. In the end, I believe the Hawks will lose enough to retain a top five pick of their own in the 2019 NBA Draft, which is a real good thing for a franchise that needs more talent and has the potential of three first rounders again in that draft. 7. We will enjoy Vince Carter as our own for one glorious season. The Hawks do seem to find a way of harboring all-time greats at the end of their careers, from Moses Malone to Tracy McGrady. I am especially happy to have Carter here, having interviewed him over the years and watched him crush the good guys over and over again, it will be good to see and hear him describe this season from the inside. 8. The franchise will be seen in a better light by the end of the year. From the new arena look, to the smart PR that is happening with the team, to the on the court product, this is the year that the national eyes see the Hawks as changing the culture, a process that started with the hiring of Steve Koonin and now continues through the full Tony Ressler fingerprint. They have a plan. They are not rudderless. Now, the team will begin its trek down this road chosen, a road of high scoring basketball and a fan friendly venue. I am looking forward to it -- Let's Go Hawks! Dennis Schröder has been traded to Oklahoma City. By now you probably have seen the other stories spelling out the details of the three-team trade that made that happen. So let us take a look at the key aspects of the deal and give out our penny on this matter with a summary at the end. It was time, as we had posted a few months back. Dennis...ah Dennis, we had reasonable expectations from you. Sure, we all here at THHB HQ wanted Giannis to drop just a little further to grab him instead, but you were seen as a potential lottery pick that slipped and the Hawks nabbed you as a potential replacement for the steady and slightly above average Jeff Teague. Three seasons ago, we argued that the time had come to see if Schröder could take the Hawks further than Teague and a year later, the Hawks obliged. Dennis showed the elite skill of getting past his man and a solid ability to facilitate, but his defense, at times lagged, at worst times was abysmal, and never really seemed to improve, especially as the losses piled up. His shooting was spotty and teams wagered regularly that they could be better off letting Dennis hoist up threes, rather than letting him beat them with the one skill in the bag that was special. His conversion rate at the basket was not good, even as his drives to the basket were top five in the league. This, along with the below average long range shooting, prevented his offensive efficiency from being much more than slightly above average while his advanced metrics showed him capable from a facilitation standpoint. More damning than the okay offense overall and the oy vey defense was his lack of leadership from the point guard position. Because of the emotional, sometimes impetuous play of Schröder, the was no rallying point around Dennis. There was never any passion that converted itself to a spurring on of his teammates, an ability to take over a game by will. All of that seems intangible and certainly subjective, and that is accepted, but there was never a sense from here that Dennis was pushing this team further, and that is an essential piece of who your point guard (or lead ballhandler) is, in this opinion. Dennis did not prove that while here, and it was why it was time to part ways. Now that he is a backup PG in OKC and likely sometimes backcourt mate with Russell Westbrook, we can see a more efficient Dennis, perhaps. Sort of like when a starting pitcher in baseball moves to the bullpen and is able to crank up the velocity for the shorter stints, Dennis may be able to show more effort on both ends of the court, without the need to pace for 30-32 minutes and thirtysomething percent raw usage. Either way, with Trae Young the new face o' the franchise and Jeremy Lin brought in to score with Trae, Dennis' days were numbered and the thought of him eating any minutes in Atlanta this season looked more out of place than a Sloppy Joe in the mitts of the Queen of England. For years, Atlanta fans fantasized about a star like Carmelo coming to the Hawks, or even Carmelo himself. It didn't matter that he occasionally Hell, No'd the thought publicly. Alas. Now, however, not only is he not a star anymore, such that the Thunder desperately looked to cast him out after a season that saw OKC look significantly better when he was not on the court, but he still won't play for Atlanta, this becoming another member of the Terrell Brandon All-Stars. A.K.A. Players traded to the Hawks but are cut loose without even breaching the doors of Philips Arena. He joins Brandon, Gary Payton, Antawn Jamison and last year's edition of Jamal Crawford in this elite club. 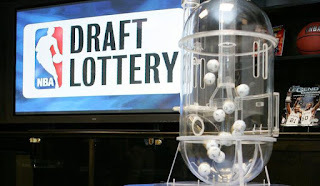 It is lottery protected, and only for that season, afterwards it turns into two second round picks, which probably would be at least one high one considering the Thunder would have to be in the lottery to not get the first. Two second round picks for the Hawks, however, is dubious in value, considering we just saw one of the deepest drafts and the Hawks cast off the #34 overall pick for a pair of future seconds from the Hornets, which don't have a great shot at being much better than the one they gave away, but, anyway, so much digression. The fact is that the Hawks got a future first, which could easily be used as a sweetener in future trades. Add the fact that the 2022 draft might be the fabled Double Draft, where the last of the one and dones and the first of the high school eligible players fill out the slots, and this is a valuable chip to trade, indeed. And, for context, do not forget that it could very well EASILY have been the Hawks parting with a future first round asset to divest themselves of a highly paid average starting PG with three years left on a deal after acquiring two more PG this offseason. To get one in return, regardless of the future maturation of the pick is almost magic. THHB hates to see Muskie go, but to be fair, he has matured nicely and likely now is a luxury item to a rebuilding team like Atlanta. Muscala is a great fit as a rotational big on a playoff team like Philadelphia. Additionally, from the Hawks perspective, his maturation and production value was starting to get costly, so it was a good time to move him. Muscala, like Dennis, came in the Danny Ferry 2013 draft, and was a rare second round pick that paid solid dividends for the Hawks. He will be missed, but we will always have the memory of the Moose Goggles. Epic. Anderson, a former first round pick of the Mavericks, is still on his rookie deal and provides Lloyd Pierce with a familiar face and a willing defender for Pierce's rotations. He is the definition of a replacement value player right now, but is only 24, and is inexpensive as an inclusion in this deal. He will eat rotation minutes providing wingplay and the aforementioned defense and if he improves at all with his shooting, that is a cherry on a sundae. The Hawks had made their choice to trade Dennis Schröder and the time was right. His counting stats were never going to be higher, his youth and skill made him desirable to a playoff team that lacked a plus backup PG. And the Hawks had drafted Trae Young and acquired Jeremy Lin, so the days were numbered. Instead of getting snookered in a deal just to get Dennis off the team, they leveraged their well thought out plan of having cap space to facilitate deals such as this one, patiently waited until there was a situation like this one where few teams were left to deal with, and milked a future draft asset and a cheap, young, competent wing as a plunder, instead of being plundered. Agree? Disagree? Let us know in the Comments Area or hit @JasonWalkerNBA up on Twitter to make your opinion known. Trae Young has shown both the positives and the work that is to be done for the rookie point guard to realize his upside this season through these first two games of his young career. If you worried about Young being unable to get his shot in a faster, stronger NBA, then you have been seeing exactly what you are concerned about. Young has struggled for any space at all in these two games and has shot poorly as a result. Both Memphis and San Antonio practically picked him up full court and Young had grind every dribble with opposition. Watching other rookies in past summer leagues, they did not get this treatment. It is like when Reggie Bush came into the NFL and teams overplayed him and took him out of every game, it seemed, and dared others to beat them. The scoring restriction is potentially a big deal since one of the two huge positives for Young was the ability to stretch the floor immensely with his shooting. The Hawks passed on other players with considerable skills to obtain this ability, so it is imperative that Young deliver on this or the pick immediately becomes less valuable. Ok, that is the bad news on Young in the two games. It is significant early feedback, but there are some caveats to this. 1. Young is making good plays. The first game against the Grizzlies, Young tried to force shots that were not there against the intentional pressure. Against the Spurs in the second game, we already saw Young adjusting and be very willing to stop shooting and make the right play. This is very significant. Young made so many plays that went unrewarded: Perfect passes to open shooters, lobs, drop offs, etc. And, while John Collins and Omari Spellman were on the floor and should be joining Young in regular season rotations, the rest of the roster, with the possible exception of Dorsey, is summer league material. So many solid passes resulted in bricks, duffs and turnovers from his inexperienced teammates. Anybody box score watching will look at Young's six assists in two games and not pick up his effectiveness passing. Many assists have been lost in his teammates' foibles. Additionally, Lloyd Pierce looks like he has a mandate offensively: Play super duper fast and jack some threes. Playing at such a speed is a skill that has to be worked on and developed. There is a delicate balance between playing fast and effective and playing too fast and rushing everything. The Hawks, though the first two efforts of the Pierce era, look to be rushing things offensively and that can go a ways to explain the lack of buckets. The Grizzlies and Spurs focused on suffocating Young's scoring and dared his teammates to deliver and they could not. This approach may be the case in the regular season, but there is no way the team shoots 30% with a veteran frontcourt and better wing shooting. In short, it looks like Trae is going to make teams pay with assists if they overplay as long as he maintains this approach at the point. Young was like a quarterback who is taking what the defense gives him but his receivers are dropping passes like crazy. The important takeaway is if Young makes the right read. Against the Grizzlies he tried to force the game and took some ill-advised shots that would be kin to throwing into double coverage. Against San Antonio, we saw Young limit himself to five 3PAs and made many, many passes to open teammates in scoring position. This is huge and validates the attaboys folks gave Young for his passing at Oklahoma and shows that he is not married to firing up 30 shots a game at any cost. 2. Off ball action has been non-existent. When Young has been on the court, he either has had the ball or has been standing on the perimeter, ready to rotate back to the top to be a release valve. If the Hawks want Young to get some intentional space, they are going to have to run some screen action off ball for Young for him to come off screens open. It is not something we have seen any of from Young, but he will have to add this to his repertoire and build up the commensurate stamina to run like Steph Curry, Kyle Korver or anybody that can be lethal from long range. It is clear this is not the imperative for the Hawks in this Summer League. They are focused on the quarterbacking portions of Young's game, but surely to get the most out of Young's talent, off ball action is going to be required. 3. Defensive effort has been better than expected. Young looked like a fire hydrant at times last year defensively, inspiring a no-confidence vote in his ability to defend at the NBA level. While this has been summer league and not the likes of most of the starting point guards in the league, Young has shown more intention on defense and has even made some plays. Continued focus on getting stronger will help here as well, but the desire is there and that was not obvious to the eye last season. You could also add finishing at the hoop, strength with the ball, etc. All of it adds up to the project that Young is at the NBA level. The upside is there and the playmaking is already evident. But there is work to do both on Young's part and the team and coaching staff to unlock the best of what Trae Young can be at this level. It is two games. You are watching something cooking that has been in the oven for 30 seconds. We are not even close to a finished product. Proponents of the Young pick are going to accentuate the positives they see while opponents of the pick are going to be quick with the condemnations and fear the Hawks blew a highly valuable pick. It will be interesting to watch Young's confidence throughout this summer and this season. To realize the higher percentiles of his rookie season output, his confidence must remain high and passiveness must be relegated to the trash bin. You may not have found two tougher teams, defensively, to start a career against, than Jevon Carter and the Grizzlies and the Spurs, especially since the gameplan was to stifle Young and force the ball to others. Young showed more and more throughout the minutes in Salt Lake City that he was willing to make the right play and take the value in what the defense provided. That playmaking from the point guard position is always an important part of an offense. We shall see if other teams in Las Vegas play a similar gameplan against Young or it is more loose. If it is more loose, we may see more pullups from Young if he has space, but if it isn't there, we should hope to see more of the same attack and feed the open value on the floor. See something else on which you would like to comment? Go ahead and post in the Comments area or hit me on Twitter @JasonWalkerNBA. Thanks! It has arrived. 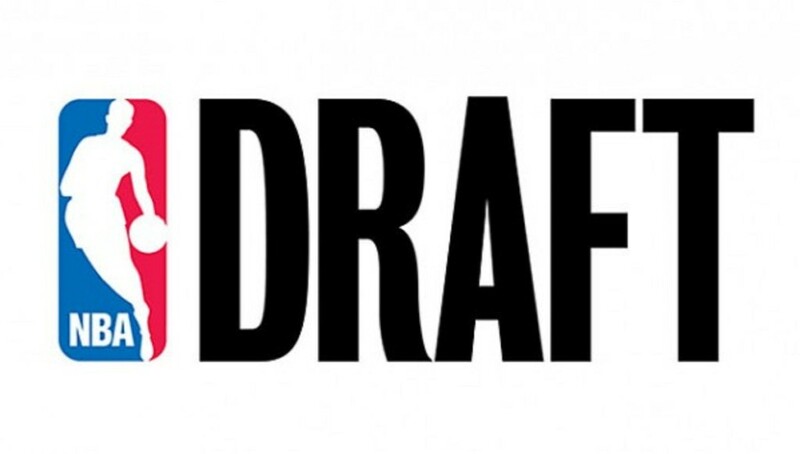 2018 NBA Draft Day is here! Mock drafts aplenty and a buffet full of rumors for you to indulge all day, if you are sadistic enough to enjoy the whiplash effect some of the moves can induce. THHB wanted to run down the lottery picks and put down what we think is going to happen and what we wish would happen. Was still somewhat in belief that they were going to take Doncic anyway and have a super backcourt of Doncic/Booker with Doncic's old Euro coach, but the last percentages of that passed away when they practically coronated Ayton after his workout. Look, it was fun. For a while the Kings realllllly had us believing they weren't going to take Doncic, relying instead on yet another big man. The 24 hours that had the insiders saying that Doncic was on the top of the Hawks board were fun times, indeed. Alas, all good things must slip through the Hawks hands. Sure, Vlade isn't impressed with Doncic, but Vivek allegedly is, and Vivek is undefeated, from what I can tell, in these matchups. I don't know if they will wrangle a trade down -- seems like that is on the board, but after Doncic is gone, the next dynamic offensive player is Young. Chauncey Billups said it best on ESPN, "He will move the scoreboard -- he may give up a couple of buckets -- but he will move the scoreboard." What's up with people dissing the Grizz? Didn't they just wrap a seven year playoff streak? Don't the have a cool nickname for their very nice building? Isn't the food magnificent and Beale Street some fun and games? Is the owner that awful? I know Porter has been rumored here, but my gut tells me they will take the most motivated player that can come in immediately and prove himself and that's Bagley at this point. How does a team come off the agony of the Chandler Parsons injury and go back into the tub for Michael Porter? I don't see it. He is a cult of personality and could be ready to do tons of damage defensively right out of the gate. Dallas has been groomed as a landing spot and while they could go Porter as well, the likable, box office ready Bamba is safer. Who we want them to pick: Jaren Jackson, Jr.
With Young off the board, the Magic go for the next guard, who is SGA it seems. It boggles the mind that SGA can basically not work out for anybody publicly and find himself at the highest mock position of the season anyway. Teams are just projecting all the positives and not nit-picking the negatives in SGA's game. This seems like a typical Magic play here, moreso that the Eric Bledsoe like Collin Sexton, so I am good with the latest rumors sticking about SGA. 7. Chicago Bulls, Michael Porter, Jr. He missed a season with an injured back and then wore down while working out for 3-4 teams and his hip was bothering him. He makes grandiose statements about himself and says that some teams may want him to skip summer league and rest. Already this guy is high maintenance. He has also reminded people that the Kings sat Harry Giles all season last season. Who we want them to take: Michael Porter, Jr.
Who we think they will take: Michael Porter, Jr.
8. Cleveland Cavaliers, Jaren Jackson, Jr.
All the rumors say that the Cavs want a point guard, but Young and SGA are off the board, so will the Cavs take the BPA in Jackson? We think they would over Collin Sexton. It is a match that has not been seen yet, so we like that, too. Jackson can be the modern NBA five and brings some rim protection to the Cavs. Mozel Tov! Who we think they will take: Jaren Jackson, Jr.
We could have seen any of the more box office ready players here (Young, Bamba, Porter), but they are all gone. So the Knicks can settle for the guy who ranks sixth on THHB Big Board in Bridges, who is so well-rounded, has great wingspan and can be versatile offensively while finishing above the rim. Soooooo close! I am sure the Sixers would have loved to snag Bridges, who would be a ready made local guy ready to contribute to the team who had one of the best records in the league. 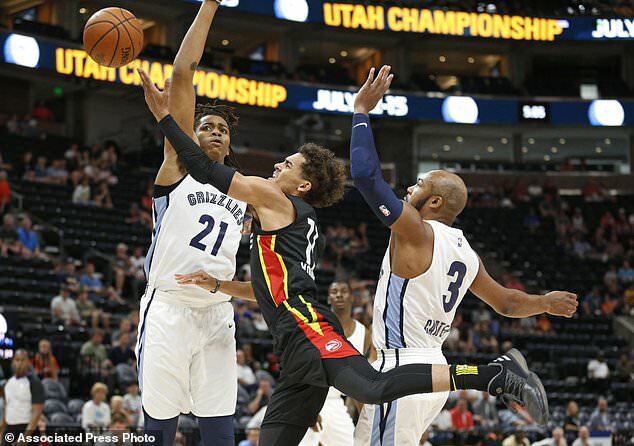 Instead, they settle for who is less ready, but can grow into the same traits in Knox, who didn't excel last season at Kentucky, but we believe it is not always easy to do that one an all-star one and done teams. The Hornets breathe a sigh of relief as the last of the top tier PGs is still available here. The hard-nosed, never scared Sexton would be a good insurance policy on Kemba Walker and someone to groom for the future even if Walker stays put. THHB thinks that the Hornets, if they do believe Walker is long term, should not take yet another guard, but go bigger with Wendell Carter, the center from Duke, who has conjured comparisons to Al Horford. Solid swingman and potential replacement for Will Barton, Bridges brings another solid all around game to a team that should not have really missed the playoffs last season. Amazing that Carter could fall this far, but the fits for bigs are not great after the first few picks. Carter would give the Wizards a more versatile option at center than they currently have in Gortat/Mahinmi. Here is my latest rankings -- You will see some changes, and a few more names. Changes were driven largely by influence around the impact of wings and, especially, spreading the floor offensively. Also, have watched a lot more film and ingested plenty of conversation and debate on these guys. Doncic has won everything there is to win overseas, but one thing he hasn't won is all of NBA fans' hearts. (awwwwww). Word is all over the interwebs that, for a long time before the Kings had the second pick, that Vlade Divac was not impressed with Luka. Whether that is a long con or a whoops because they didn't think they would even be in position to take him, it lends a lot of credence to the rumors that the Kings are more impressed with Michael Porter and Marvin Bagley. Doncic would be a tremendous pick for the Hawks, with a high floor. Sometimes, it just makes sense to take the guy who has won two MVPs before 20, is good at the game of basketball, and is a value, even at #3. I have not been high on Ayton, at least not as the undisputed king of the 2018 draft. It is his meh defense that perplexes me. I hear the David Robinson comps for a ceiling, but dang, the Admiral was dominant at Navy on defense. Ayton has skills on offense, no doubt, and here he is at #2, but it is a solid nod to his talent, and no more. He is going to be popular wherever he lands, as he is a cult of personality with his smile, deep dive on basketball theory and his obvious, let's go see him, freakish measurements. If he can contribute offensively, especially with the Drew Hanlen lower shooting pocket, more arc corner three, then he is going to be a solid starter year one in the L.
One interesting thing that came out today from Givony at ESPN/DX is that Mr. Personality Bamba cold shouldered Memphis, turning down a workout, declining to send medical information over and asking, nicely I am sure, to pass if he is there at #4. Wow. He worked out ENTHUSISATICALLY for the Hawks, saying afterwards that he loves the city and sees a good fit with the Good Guys. He worked out with Embiid and Joel spoke good words about Lloyd Pierce, which got Bamba's attention as well. Still, a team getting stonewalled and it is NOT the Hawks? That's progress, ATL, progress. Cooling somewhat is the man called 3J, as the information wheel landed on words like "soft" and "bad interview" after his time in the ATL workout chamber. Who knows what is right during this silly season. Our man, Brad Rowland from Peachtree Hoops is on record saying that Jackson does everything better than Bamba already and is 1.5 years younger. This is truth. On the surface, he looks like more all-around out of the bigs, yet still looks raw and unfinished at times, commensurate with his 18 years of age. There is a ton of ceiling out of he and Bamba - and Jackson would be a super solid pick if the Hawks did indeed pass on Doncic if there. I still hold firm to the belief that his defense will limit his role to a more defined 28 minutes or so that he can totally destroy offensively. I have been influenced by visions of a more open court than we have seen with Dennis the last two seasons and am willing to take a chance on a guy that can truly stretch that floor. Remember that Pierce came from PHI, where they practice with a 4-pt line for offensive stretchiness. Young is a player that can stick that range, not just stand there, and he has the necessary willingness to create for other with that newly opened space. His defense will be his albatross for now, but I have Young firmly locked at the top of the non-Doncic, guards. Bridges has that all around game at the wing that seems to be populating throughout the league. It is threes and defense, also strong, strong finishes and defensive acumen. His wingspan is elite for his height also and combining all of that is what made be have Bridges here since the NCAA season ended. Knox has risen. Much is made about his freshman season, but the skills are there. Throwing so many one and done guys together sometimes can work seamlessly, but often, there is tough transition with all the five stars trying to fit their Alpha game into a five man set. The skills that Knox brings to the table; the length, the finishing, the offense - are the wing things that all the team are trying to stockpile. Tough to move him ahead of Bagley, but there is more versatility to his game than the Duke big man. Ok, here is the biggest numeric faller of the bunch. Why? Well, as much as I regard post scoring, it is not largely relevant in the league right now. Bagley's elite standing jump skills will always aid in him being a plus rebounder, but the lack of defense and the one-dimensional part of his inside game (he only uses that left hand) shows limitations. Look, this draft is so flat, that there is little, in my mind separating 2-8, or you can argue down to 12, but given the Hawks situation, with John Collins already able in the role that Bagley would likely play, he drops. Carter might be overrated here, but his game is solid and does have a Horford-ish vibe to him. You could put Carter as the last pick in the lottery and I could see it, but the overall package on both sides of the ball is worth having on a team that lacks a solid, all-around five. Porter may have had the worst run since entering the NCAA ranks. He suffered a back injury that prevented him from playing almost all of his Mizzou games and the games he did play in lacked that super-athleticism that placed him at the top. He has worked out and already experienced some soreness, by his own words, in his hips. His game is predicated on that athleticism and volume scoring and can fit in very well somewhere like Sacramento, but man that injury risk is too rich for my blood. He has not worked out for anybody this offseason, at least publicly, leading some to assume he has a promise in the lottery, with the main guess being the LA Clippers, who have two picks together so they can continue to work out everyone else while not being so obvious nor wasting anybody's time. SGA has that Livingston in '04 look, but not the playmaking that the Clippers draft pick had then. Alexander has great length and versatility in his offensive game, which is attracting a lot of attention with Cleveland, Charlotte and Toronto, reportedly. The first thing that you see with Walker is explosiveness. Like, oh wow, this guys is a home run, look at him. It is like watching Pedro Cerrano teeing off on Eddie Harris straight-balls. You are like, holy crap, how can he be available here? And then you see the streakiness, the wildness and, like Cerrano whiffing on curveballs, you get it. I see. Also there is a lack of obvious facilitation in his game, being the Alpha scorer -- something that he will need to add to help his floor time be the most productive. This is me being an unabashed, long armed, shot blocking, above the rim, finishing strong biased basketball fan. I love the things that Williams can do in those areas, even while acknowledging that the fun likely ends there. Sexton has the heart of a lion, to be cliché. He is fearless and it showed every time Alabama played. Sexton, like Walker, could stand to learn the art of the pass, and to improve the consistency of his shot. The comparisons to Eric Bledsoe are solid, I think. Miles Bridges, Jacob Evans, Troy Brown, Jerome Robinson, Chandler Hutchinson are among those also receiving votes. Don't agree? Do agree? Say something in the Comments Area or find me in the Twitter Pool @JasonWalkerNBA. We are eight days, as of this writing, from one of the more exciting NBA Drafts for Atlanta Hawks fans in a decade. We have looked at this draft over the last month, discussed rumors, talked into the can on many platforms about who the candidates for selection with the #3 pick are and who THHB likes as its main man there. So, what's new around this pick since the last time we published thoughts on the matter? To some, the obvious interest in Young excites the senses. To others, it's horror. The truth, even to this collection of THHB staffers, is in the in between. Yes, the official statement from our vault holds true to this second, that we believe that Young's total absence of defensive instincts means he will have to be relegated to a juicy 6th man type role that will help assuage those defensive agonies. A 25-30 minute, Jamal Crawford/Lou Williams role (with much more playmaking, we add) in order to accentuate his offensive impact while curtailing the pain of covering for him defensively seems like a solid place to project with his to-this-minute body of work. It should be said that one of the all-time favorites of THHB is Crawford, whose offensive amazement captured our hearts as much as our heralded shot-blockers have. There is room for excitement with Young, who can shoot the basketball and has a playmaker's eye on the floor. It is easy to see why fans of the Hawks are swept up in enthusiasm over those skills. Also in Young's corner are his opponents, who consistently said that he was one of, if not THE hardest to defend this past season. His shot range alone makes defense complicated, and the lanes he creates with that range opens things up well for his teammates. Match that with his ability to pass and all a good coach has to do is teach restraint and you can raise his A/TO ratio dramatically. But the defense, his size, and whether you can really spend that kind of draft capital on that type of player are perfectly good reasons for concern. Ultimately, the Hawks need someone that will project to be a staple of the team for their first 9-10 seasons. It is reasonable to wonder if Young is that type of player. He is one of only four players with 1 on zero workouts that the Hawks are entertaining publicly. So Young, along with Jaren Jackson, Jr, Mo Bamba and Marvin Bagley, are the frontrunners for this pick. We have documented the many possible explanations for the potential sliding of the uber-decorated and accomplished teenager from overseas. I believe that it still holds true today and that the Kings are still the likely home for Doncic. Why all the smokescreening then? Are they afraid to tip the scales on the Suns and they will take him? That does not seem likely, given the fanfare and practical coronation the Suns gave DeAndre Ayton when he worked out for the Suns (Doncic will not work out for any team). Placing another front court player in Sacramento, after spending draft capital on Willie Cauley-Stein and Skal Labissiere does not make a whole lot of sense. Placing Doncic in a playmaking off-guard role with DeAaron Fox and Bogdan Bogdanovic does, however, make plenty of sense. Doncic would also make those front court investments better and provide even more range outside for a team that played Vince Carter a lot more than I expected throughout the season. However if Doncic does get past the Kings he could end up in Memphis or Dallas, as the Hawks seem like they have gotten the "Do Not Draft" note from the Doncic side. He does have the option of continuing to play overseas, which could make such a note a higher risk than Michael Porter's back. Porter, coming into the season, was the most likely to succeed candidate of the draft candidates. He had the explosive arsenal of scoring, flashing high above the rim, and conjured images of the scoring prowess of Carmelo Anthony and the high flying frame of Blake Griffin. And then he missed an entire season with a massive back injury. The words "back injury" alone is scary, as is missing an entire season. But, over the last 30 days, Porter's name has started to inch back up the draft. Whereas he was a reasonable risk, given the upside, as a pick at seven with the Bulls or eight with Cleveland, now you hear him associated with Dallas at five and even Sacramento with the second pick. This probably means that the medical reports on his back are real sound, sound enough to begin to leak publicly. Now the word that Porter's crew will make a report available for teams 1-10 in the draft makes that almost a certainty. He can limit the full reports to teams he might prefer, such as Chicago, but the sense that his back is healthy, for now, might entice any team up the line to make him a pick. As for us, back injuries are almost a full pass -- you will not know if they are chronic until the next injury, if there is one. Porter's value comes chiefly through his extraordinary athleticism and if that is sapped in any percentage, it drastically lowers his value. He could be an amazing gamebreaker or he could end up a volume shooter that provides little else for that draft value. With all of that, the Hawks are probably wise in not making Porter a part of their 1 on zero workouts. UPDATE (6/14): What a difference less than a day makes! Porter has reportedly cancelled, and then reported to be "rescheduling" his next group workout for teams, but is reported to have a problem with his hip. Oh boy. It could be crafty positioning on the part of Porter's team to make sure he gets where he wants, but man, the Hawks cannot take a chance on this guy if he is already dealing with more injuries after a series of 1 on zero workouts. If you have watched any NBA Draft prep at all, you can't miss the onslaught of Mo Bamba offseason workout, interviews and the like. 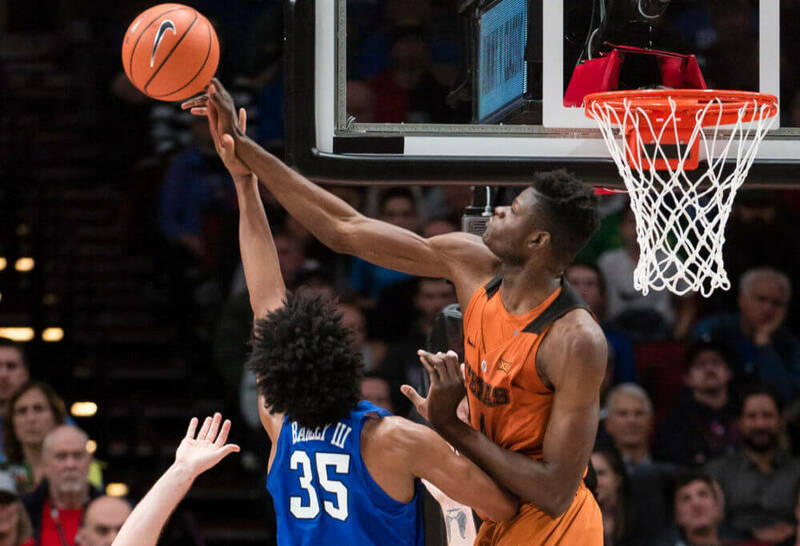 The hype around Bamba is high, and he even got a workout with the top pick Suns, so kudos to his representation for making sure everybody saw and heard Mo Bamba over the last month. And why not? Bamba is, by almost all accounts, an engaging speaker with advanced knowledge of NBA metrics and detail. Honestly, he looks like a reporter's dream, able to break down nuances of the game and candid. But that does not make him worthy of the third pick, only underlines why it has been wise to get him in front of the camera a lot. His wingspan, at 7'10 if you have not heard (impossible), makes him a measurement freak. According to the Suns, his vertical jump was 12'5, which is silly. His standing reach is 9'8, which when married to his great ability to maintain verticality makes him very formidable to shoot over. We love Bamba's defensive instincts and footwork and he will absolutely change the geometry of teams playing against him. Mike Schmitz of ESPN agrees with that, highlighting it in the video breakdown of Bamba's game. He can be a gamechanger on that end, and spark plenty of transition opportunities for Dennis, Taurean Prince and John Collins if Bamba were to become a Hawk. The downsides, which are also called out in that ESPN breakdown, are also there. He is skinny, which bigger inside players will surely lay a shoulder into or use their posteriors to move Bamba out of position, both defensively and on the glass. He did not always show high motor, either, which will be a quick passage to the bench for any coach, but especially, one would assume, with a defensive minded coach like Lloyd Pierce. He is super raw offensively - very prone to turnover in traffic, especially if the ball comes down below the shoulders. He did not shoot long range efficiently, either, though his well publicized offseason shooting retooling with Drew Hanlen has produced excellent one-on-zero film, but that is far from game action corner threes Bamba would need to hit to find his ceiling in the league. Bamba's status has risen due to all the work he has put in and the publicity surrounding him, but even given the massive ways to get excited about Mo Bamba, there are, like all those in this lottery, reasonable concerns as well. The Mock Drafts seem to have settled on Jaren Jackson, Jr. as the Hawks selection at #3. The words "modern NBA center" are assigned to Jackson and he has his own impressive measurements to go along with his candidacy for the #3 pick. Making things more difficult about evaluating 3J is that playing for Tom Izzo will not necessarily give NBA teams the film needed to easily translate ceiling, often being restricted by style and minutes. Jackson reminds a lot of Marvin Williams, pre injury. That may scare a lot of folks, but Jackson is bigger and is more centery, but the overall play of Jackson certainly makes that comparison sound. Jackson is more refined in shooting, though his style reminds too many THHB folks of Josh Childress, and is a more all around better player than Mo Bamba right now. Toss in that Jackson is a year and a half younger and you might believe that JJJ has a higher ceiling than the Texas Freshman. The second most linked to the Hawks is Marvin Bagley, who has the most refined offensive game of any of the bigs in the lottery. Bagley is heavy lefthanded, which he will need to diversify to be successful in the NBA, but also has an elite second jump, which helps him win rebounding battles. His measurements are fairly average for his height, which is why he demurred at the Draft Combine last month, but that has not stopped him from being the most efficient players last season, offensively. Defensively, the Duke Blue Devils were a disaster last season and Bagley certainly contributed to that reputation. Defense if definitely more than rebounding, so while Bagley was excellent on the glass, the rest of the defense was lacking. Was that more a team problem and Bagley can be a reasonable defender under Pierce's tutelage? If the Hawks select him, as some have said they are leaning towards, then we will have our answer. What are your thoughts? Let us know in the Comments area or on the Twitter Factory @JasonWalkerNBA! This will look a lot like the tweets I sent out yesterday when rumors of the Kings and Hawks passing on Luka Doncic started rolling from my old friend (from DraftCity days at RealGM) Jonathan Givony of ESPN. There is a lot to review as far as the emotions one might feel with such news about a prominent prospect in an upcoming draft. As Hawks fans, especially, there can be strong feelings of fear about the draft, after all. So here are some thoughts about this rumor, with a bit more commentary than the Twitter offering yesterday. 1. They have already been told to pass by Doncic camp. It is possible that, already, the Luke Doncic representation has reached out to teams in the lottery that are a hard pass for Doncic, thereby using the leverage of Euroleague to help shape his destination. It's smart to do this, to pick a specific place that Doncic and his folks feel are better fits for him than, say, the Kings or the Hawks. Let's say he can steer himself to the Cavs at 8 (considering LBJ, of course) or the Sixers at 10. Is not that better, on paper, than taking on the Kings or the rebuilding Hawks or even Dallas? Makes sense. So if that conversation has already happened, then it behooves the Hawks or Kings to maybe get out in front of the rejection by saying, hey, we'd rather a big than Doncic. 2. Two words: Smoke Screen One tradition of the lead up to the NBA Draft is that teams are constantly putting out misinformation for many reasons, usually to disguise the actual intent of that team so that another won't steal their guy. Mayyyybe, the Kings and Hawks are engaging in such chicanery here, who knows. 3. There are legit concerns about how some of the interior playmaking will translate to NBA. Mentioned this in the latest look at each of the prospects (see recent articles), but watching Doncic he relies on a lot of savvy ball moves to create space and to get into the lane. Will those same avenues be available in a quicker, lengthier NBA? It is enough to question, even if you cannot question his Elite vision, CourtIQ or shooting. 4. MOAR BAMBA This could also be called MOAR JJJ or MOAR Bagley, but the Hawks might feel it is more difficult to find a defining five out there than a playmaking guard. And they might be right. The difference is that all three of those guys have lower floors than Doncic, who I said in that last summary article that he has the best chance of reaching his 80th percentile career outcome. 5. Priming the pump to take potential offers. Nothing sends a signal to teams looking to trade up than saying you might not be interested in a premium prospect others might covet. Leaking information to press is a good way to get the word out. 6. Lord please, not another Chris Paul fiasco. This is the biggest gulp the Hawks fans will deal with if the Hawks do have a chance to draft Doncic and pass to take a big. Sooooo many draft pundits had Marvin Williams high on the board with elite measurements, etc. And while there those of us who were desperate for the type of elite leadership and PG skills Chris Paul showed at Wake Forest, there were definitely others who saw the ceiling potential of Marvin and wanted to go that route. It turns out as the biggest miss in Hawks draft history since 2000 (have to qualify because the overall draft miss list is staggering). Even the disaster of the Shelden Williams guarantee, which is the actual bigger mess of a draft than this one, doesn't match the agony of passing on CP3 to take Marvin. 7. And this is the most important: It is early and we will hear way more misdirection than truth. There are 31 days until the draft -- too get too committed to NBA gossip and rumors so soon will eave you an emotional wreck, twisted in 1000 different ways by the time Adam Silver opens the 2018 NBA Draft. Have you other thoughts about the Doncic rumor? Feel free to talk about it in the Comments Area or single me out on Twitter @JasonWalkerNBA. We posted a quick look a few weeks ago at the top players of this 2018 NBA Draft and now let me revisit those players, with quick comments on Pros and Cons of each of them. It looks like a fairly flat draft from 1-6, meaning that all the guys have flaws and there is no mountaintop pick in this draft, a guy you have to have if you are #1. All of which probably means the Hawks will get the top pick. Cons: Unsure about how his quickness and penetration will translate to the NBA. I finally sat down to look at Doncic and came away understanding why people like him a lot. He has the floor vision and playmaking of a savvy vet, but he has yet to turn 20 years old. He has a solid step back jump shot from long range and hits the open man more often that a top flight quarterback. He is the safest pick of the draft, even if he is not a superstar, he has the best chance of hitting his 80th percentile outcome. Cons: Does not defend the rim or play defense like you would expect from someone his height. Fades from view at times on the court. Ayton has been a consensus #1 for a while amongst touts, but I am not convinced. Maybe he will do fine and be a solid center for a decade, but I don't see the separation of talent that necessitates taking him at the top as compared to the other members of the top six. Pros: Unstoppable motor, very good in the post, solid outside shot, excellent rebounder and very efficient. Super quick off the floor. Cons: Defense lacked (as did all of Duke last season), only uses left hand on offense could be exploited in the pros. I love Marvin Bagley and feel he will be a solid starter in the NBA. He plays super efficiently, provides a ton of offense and I believe showed the framework, led by his strong motor, to improve defensively with better surroundings. Pros: Massive 7'9 wingspan, good instincts on the defensive end, showed a lot of disruption against top matchups as well as the creampuffs, has been a very visible worker in the offseason to get better, excellent height, explosive off the floor. Ran the floor very well with good hands (when above the waist). Cons: Looks raw offensively at times, loses the ball in traffic, role may be out of place in contrast to the top teams in the NBA. Already the old age of 20. The shotblocker, and big man in general, has lost his appeal in the NBA. While Clint Capela has a great season, the other three conference finalists sport shooting bigs or no big at all. I love Bamba's ability to disrupt on defense, his work ethic this offseason to add the three to his repertoire and ability to finish around the hoop, but if he can't be out there because teams go small, then he is not an anchor to build around. Pros: Great defensive instincts, good rebounder, solid outside shooting that can fill the threes and d(efense) role on teams, youngest off the lotto bigs. Cons: Also somewhat raw in terms of skills, foul and turnover prone. JJJ looks real good and compares favorably to Bamba, save for the additional height and length. If you believe the NBA is moving on from those types of bigs, then JJJ is the perfect smallball big to add here instead. Cons: Small and ease to move off his center when driving, volume based inefficient shooter, super high volume in college likely won't be seen in NBA, high turnover rates. I believe that Young is going to end up being best suited for top reserve role on a team, like top 6th men Jamal Crawford and Louis Williams, who put up high usage backcourt scoring and playmaking off the bench. Michael Porter may end up being a top scorer but the back injury that cost him his only season in NCAA serves as a red flag for teams needing to invest in something more certain for the long term. Porter showed amazing athleticism in high school and reminds of Andrew Wiggins, which would be funny if he ended up with the Cavs. Mikal Bridges might be my favorite player outside the top six. His wingspan,offensive abilities and versatility are excellent and will make an excellent consolation prize for teams sliding out of the top six. Leave anyone you want out? Disagree with the pros/cons? Leave a note in the Comments Area or converse with me on Twitter @JasonWalkerNBA. Dennis Schröder was given the best chance to prove he was a long term solution at point guard/floor leader for the Hawks this season, his last as a Hawk under Mike Budenholzer, and he failed. It is time for the Hawks to get the most they can for Dennis as the team goes into a new season and a new birth with a new coach. Dennis was given the most usage and control he had ever had and posted slightly above average advanced stats and proved he was a super capable offensive player, but super lousy defensively and was just another guy on the floor as the leader of this team, not someone who made teammates better. He likely maxed out on his counting stats, a.k.a. market value for a large portion of teams in the NBA, so moving him now is the best time to do so in that regard. The team will have a new coach, new players and will likely get younger if Dewayne Dedmon opts to move on, as it is likely he will. This will mean even less offensive efficiency as a whole for the Hawks, and Dennis will look like he took a step back, statistically, lowering his greatest trade value right now: his stats. Schröder looks good in some statistical areas and will still bring a good return, especially considering one of his best numbers, his age. At 24, teams can (and will) still gamble that Schröder has more ceiling to reach. Because of this, the Hawks can, potentially, get the most for Dennis now, even with off the court issues. Acquiring more picks and continuing to build the future of this team is a good thing, especially if you have concluded, as I have, that Dennis is what he is at this point: An elite driving scoring point guard that needs to have the ball in his hands to be productive, and little else positive after that. Defensively and as a leader, he has not developed nor taken the public initiative to be more than he is, even with the excellent player development of Mike Budenholzer and the staff at his back for all these years. It is also a good time to part ways with Dennis because of the position he plays on this team. He is a high usage player, so if you keep him on this team, it will, by role, keep the other players who have a longer term future of this team from stepping into more production because Dennis will be doing his 27-30% raw usage thing out there. If the Hawks end up taking Luka Doncic in the draft, this is a slam dunk, given the desire to get Doncic in front of this team and make it his own. Even in the absence of that, however, players like Prince, Collins and whoever the Hawks take at the top will need room to develop, and the usage that goes with that. The Hawks did the right thing by trading Jeff Teague away to Indiana when it was clear they had reached their peak with him, even if a season too late. 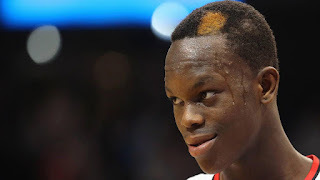 They needed to know if Dennis Schröder could take them further and if the young point guard could develop into a all-star level point guard and future leader of the Hawks. Now we have seen this is not the case, and it is time to move him on and acquire another player to lead this new iteration of the Hawks in the 20's. Disagree? Agree? Let me know in the Comments Area or on the Twitter Area @JasonWalkerNBA. I have Mo Bamba Fever. For long time readers and folks who know my basketball proclivities, this will not be a surprise. I have a well known affection for shot blockers and wingspan, so the fact that I am being drawn to a player with 7'9 wingspan and massive shot blocking instincts should not be that big of a spoiler. Bamba, however, has shown a lot more to me than just highlight reel blocked shots, though there are many of those, more so than anyone in this lottery group, for sure. Watching his tape, he has shown a more developed offensive game than I saw Rudy Gobert carry into his draft season. He has a solid touch on his jump shot, hook shot and off the square/around the basket shots. He moves his feet very well, I believe, on both sides of the floor, making the most of his defensive presence by playing both his man on rolls to the hoop and the ball handler, incredibly disrupting those plays and ably covering for his beaten teammate. I love players like Rudy Gobert and Giannis Antetokounmpo going into drafts (and wrote about them at that time) because they show physical differentiations that other players will never have. There is more to it than just differentiation, obviously, because they have to play basketball well, too, but once you have established that they aren't lost on the basketball court, then their physical attributes raise them above their peers. In this draft, Bamba is the only one that fits the bill. I love Marvin Bagley's offensive skill set, Luka Doncic's versatile offensive game, Jaren Jackson Jr's defensive instincts and Deandre Ayton's athleticism and size, but Bamba's combination of game changings defensive skills, nose for the basketball around the glass and able jump shot make him my (current) favorite target for the Hawks in the lottery. This is good for me, as a fan and ardent Bird Watcher, because this means the Hawks won't have to win the lottery to get Bamba, as Ayton and Doncic are, currently, consensus 1-2 in this draft and there are many who will always have bias against longer players like Bamba for looking more unpolished, like they did with Gobert. The highlights above, from YouTube channel NBA Scouting Report (who is doing the best DraftExpress impression with their approach, of which I approve since Givony and Schmidt have moved to ESPN and are not producing such content), show the good and bad of Bamba (and other lotto picks, too, in other clips) and Bamba leaps off the screen to me more than any other pick. So put me in the Bamba camp, no matter where the Hawks are picking. Even the top pick of the draft. Disagree? Like other clips of lotto picks? Let's discuss in the Comments Area or on Twitter @JasonWalkerNBA. 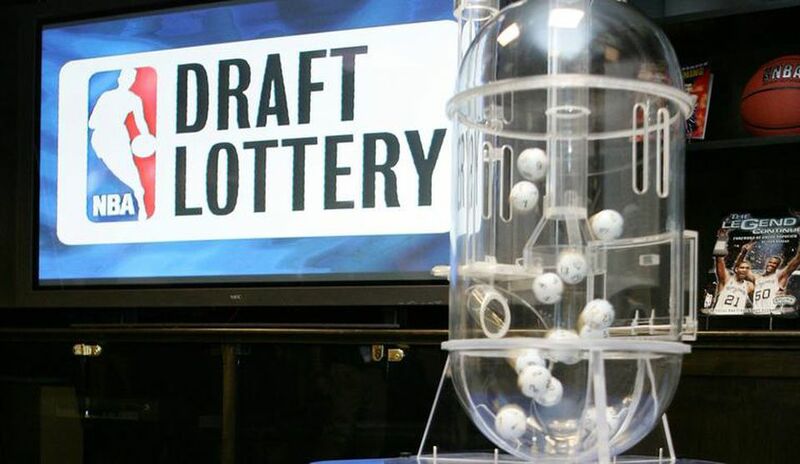 Let's make this quick as there will be more to come as the Hawks know what pick they will have in mid-May when the Lottery occurs. At first look, the center that most call the #1 pick in this draft looks less like Joel Embiid than you would like, should the Hawks win the lottery. He has an okay college 3-point shot, does not look terribly long as a defensive disruptor and his skills look a little raw on both ends. He is a legit 7-footer, so that's something, but would love to see a more polished player with more projection in this spot. He is interesting, though this is someone I want to watch more as the draft season wears on through the spring. By some accounts, he is part Toni Kukoc, but with more a point guard player mentality, rather than Toni, who was a very capable passer, but not an offensive initiator in his time in the NBA. Doncic could fill the playmaker spot that we see Ricky Rubio filling into in Utah, but with a much taller frame to boot. Defensively, he is exciting, and may project best into the recent Threes and D mold more than anyone else in this grouping. However, I am not convinced of his offense, which looks less than fluid and his body size is scrawny. I do love a shot-blocker, however, and JJJ definitely fits the mold, averaging a higher block rate than Ayton, easily. The most polished offense player I have seen is Bagley, who is very long, can play either back to the basket or facing and is super aggressive on the offensive end. He is a scorer and a good one, even finishing above the rim consistently and authoritatively. His defensive side is almost a zero, but he has the size and length to be a factor if coached. He reminds almost immediately of Julius Randle, but taller and with more above the rim capabilities. We were robbed of seeing Porter, who came from high school as maybe the most electric scorer in the country, since his back injury cost him nearly the entire season. When he returned, he was not physically the same, which is obviously concerning. Did he lose even one level of his physicality? Will the back injury project as chronic (if you can do such a thing)? We will see if he allows teams to check the back during the draft process and it will be a major red flag if he will not. If his back is fine, he is a creative and skilled scorer, maybe like Blake Griffin coming from Oklahoma. But that is a big if. Bamba looks great to me as a defensive center in the mold of Rudy Gobert. He is risky because, while Gobert has become a playoff caliber force, there is no guarantee Bamba will develop the same way. Still, how he might fit into a Mike Budenholzer coached team could be a factor here. What do you think the Hawks ought to do at the top? Is there someone else you would consider up here? Let me know in the Comments area or hit me up @JasonWalkerNBA on the Twitter machine. THHB is back after another short stint to look at the Atlanta Hawks. You can hear our takes on The Bill Shanks Show from time to time and on Twitter @JasonWalkerNBA. With shutting down a successful four-year run in Daily Fantasy Sports, there will be some time to mark any pressing (to me) news with the Good Guys, A.K.A The Atlanta Hawks. Since my last post was COMPLETELY wrong and much changed with the team last offseason, and a regular season that has landed the Hawks in the heart of a pretty strong lottery pick, let's pick things back up. The Human Highlight Blog is seen in the 50 states and around the world in great locations such as Parla, Spain! Follow me - follow me to freedom!